Serial #1040304, it was made in the Schoenberg way but with some special features required by the ultimate customer, Fred Baldwin.. 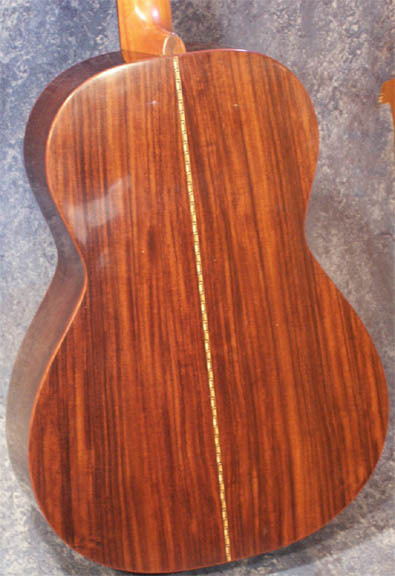 This instrument is Italian Spruce and Indian Rosewood, bound with Cocobolo, with my varnish finish and a 25.4" string length. It is just about as simple as it could be. 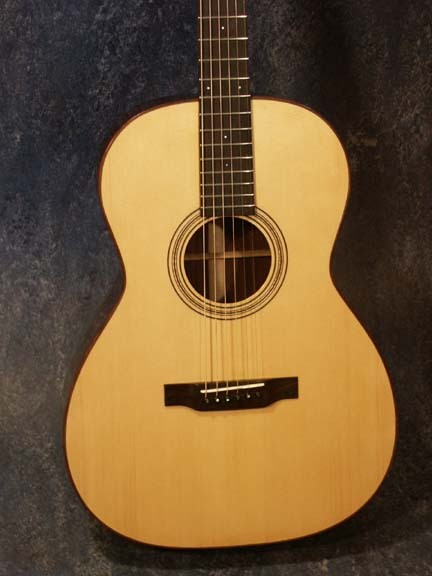 The main differences between it and a typical Schoenberg are the neck dimensions (2 5/16" bridgepin spacing), a belly bridge, and that the sound is optimized for celtic finger style picking.